Professor Sir Paul Collier is a Director of the IGC. Paul is a Professor of Economics and Public Policy at the Blavatnik School of Government, University of Oxford; Director of the Centre for the Study of African Economies; a CEPR Research Fellow; and Professorial Fellow of St Antony’s College, Oxford. He was formerly the senior advisor to Tony Blair’s Commission on Africa, and was Director of the Development Research group at the World Bank for five years. He researches the causes and consequences of civil war; the effects of aid; and the problems of democracy in low-income and natural-resource-rich societies. Across the developing world, over one billion people live in informal settlements, and this number is set to double in the next 15 years. This brief explores options for policymakers both to address existing informal settlements, and to ensure that future urban growth provides affordable formal housing for its residents. This brief outlines the crucial role land rights play in urban development, and explores trade-offs that policymakers face in reforming current tenure systems. It identifies key lessons and best-practices from policy reforms across the developing world. Part of our Cities that Work publications, this brief outlines the importance of annual land and property tax as a source of municipal finance and explores trade-offs that policymakers face in implementing reform. It also identifies examples of best practice for reform from cities across the developing world. Paul Collier and Tony Venables explain how cities unlock the 'miracle of productivity', why they are key to economic growth in developing countries, and discuss the IGC's new Cities that Work initiative. 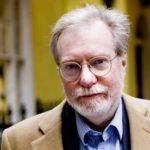 In this short talk, Paul Collier discusses power, authority, and the pitfalls of establishing legitimacy in fragile states.